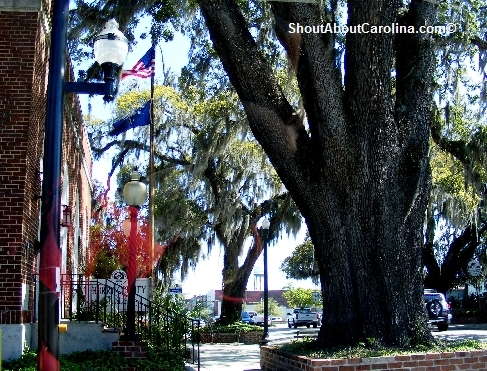 On your way to a fun filled Myrtle Beach vacation stop in downtown Conway to visit the Horry County History Museum. Admission is free and the museum is open Tuesday to Saturday from 9AM to 5PM. Take a photo of the historic Wade Hampton Oak that guards the museum entrance. In 1876, former Confederate Gen. Wade Hampton gave a speech in front of 2,000 people during his campaign for SC governor. His election ended the reconstruction period in South Carolina. Ten years later, as railroad tracks were being laid in Conway, Mary Elizabeth Beaty, owner of the property, ran outside with a shotgun to protect the oak. She threatened to shoot anyone that attempted to cut down the tree! Every since the city of Conway was careful in preserving its oaks and roads were built around the trees. Born in Bucksport, Maine in 1824, Mary Elizabeth Brookman Beaty, was one of nine children of Henry Brookman, a rigger. 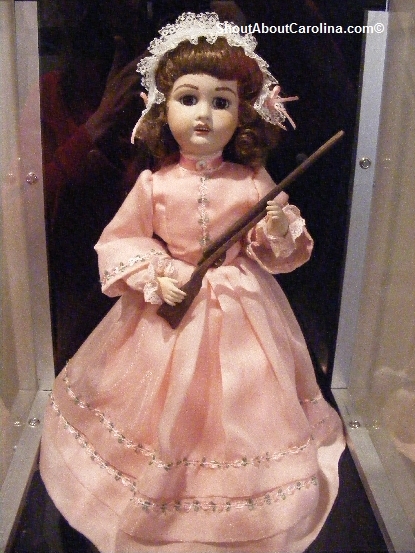 In 1840, Mary came to Bucksport, SC to become governess to the children of Henry Buck, shipbuilder and timber magnate. In 1851, she married Thomas Wilson Beaty of Horry County. Tragically, all of her 5 children died in their youth. Mary Elizabeth Beaty became one of the most respected and influential women in the county. 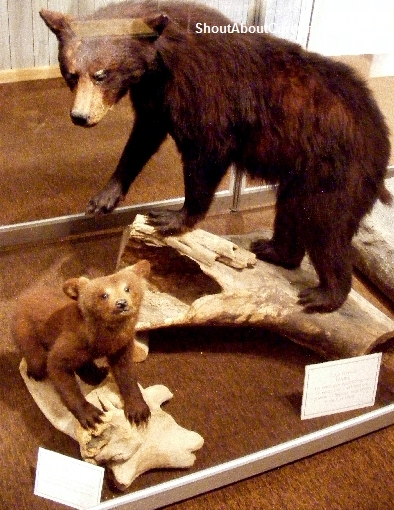 See the natural wildlife exhibit, in particular the life size taxidermy examples of some young American black bears. 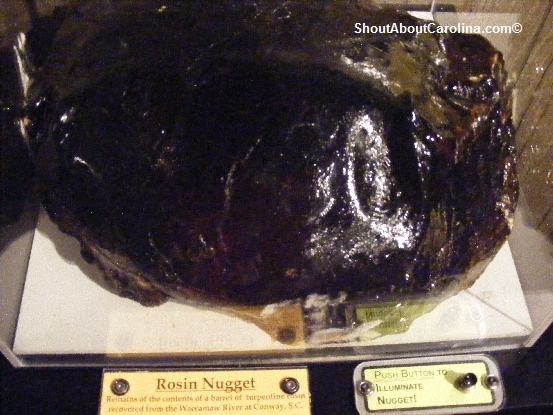 There is also a huge alligator, birds of prey, opossum, beavers and a whale bone. Marvel at the impressive collection of Native American artifacts from the Archaic, Woodland and Mississippian periods. 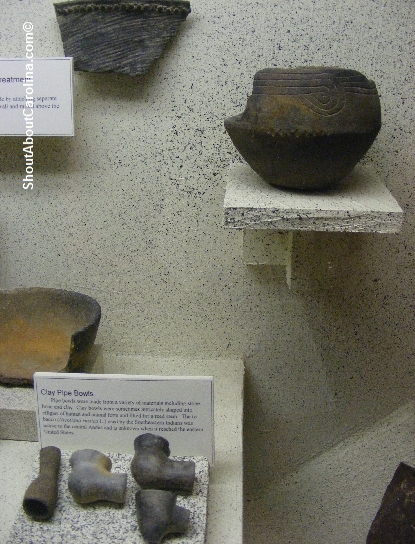 There are various arrow points, atl-atl spear, fire drills, axes, hoes and digging sticks and beautiful Woodland pottery. 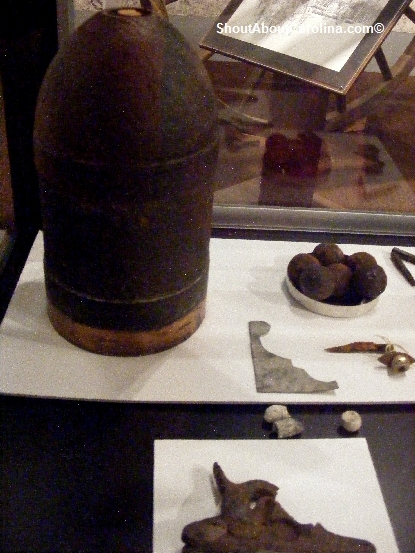 Check out the fine Civil War artifacts recovered in 1991 from the Confederate gunboat PeeDee. The 150 foot Macon class gun boat was built at the Mars Bluff Naval Yard on PeeDee river. It launched in January 1865 but it was short lived. 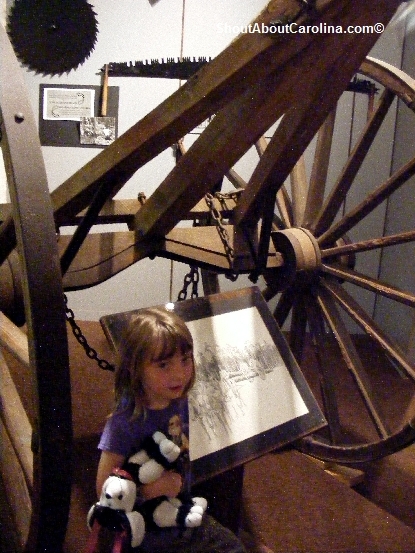 In March 1865, fearing capture by Gen. William Sherman’s Union troops, the Confederate commanders ordered its Brookes cannon thrown overboard and then set the boat on fire. Some of the recovered items include a canon shell, lead bullets, iron canister, beam spikes, sail grommets, silver spoon, butcher knife, stove fragments, brass compass and much more. Admire an exquisite quilt, embroidery and dolls collection created by local artists. 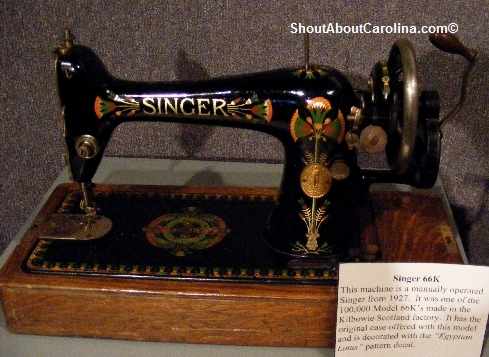 On display there are two original Singer sewing machine from the 1920s. Learn about the economic development history of the region: naval shipbuilding, turpentine, logging and railroad industries. After vising the museum take a relaxing stroll along the beautiful Waccamaw Riverwalk. Wild and wonderful Waccatee Zoo, the Myrtle Beach kids fun thing to do! Tip! Spend $1-2 on a bag of popcorn or boiled peanuts to feed the beasts. Kids love it, animals love it (that’s how I got the bear to dance for me!) and you can snack along the way. The Zoo is open daily from 10 AM to 5 PM. Admission is $4 for children 1-12 and $8 for adults. Here is a customized Google Map showing Waccatee Zoo and other Myrtle Beach attractions worth shouting about. At minimum visit the ever mysterious Atalaya Castle inside the Huntington Beach State Park where among other wild things you can rub elbows with free roaming alligators! Happy family fun on the Grand Strand!